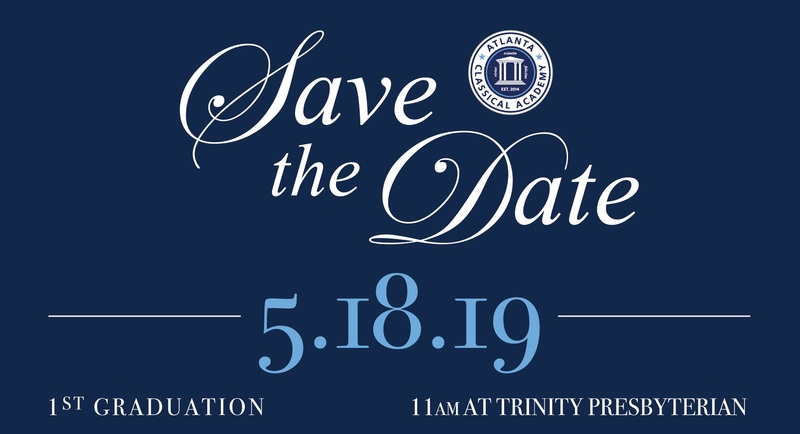 The graduation ceremony for the Class of 2019 will be held on Saturday, May 18th, 11 a.m., at Trinity Presbyterian Church. Please save the date, as all Cavalier families are welcome and invited to attend. After the new year, look for an announcement requesting graduation volunteers from families across all grades. As graduation nears, expect an invitation to attend this milestone ceremony. At that time, please RSVP to inform us as to any seating limitations we may experience and be patient with us as we ensure that all of our Seniors and their invited guests are given priority. Please direct questions regarding volunteer opportunities to Bowen Eagleson and Danielle West.